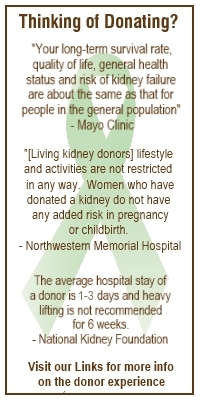 To our friends in the Chicago-area, we have an incredible opportunity to learn more about living donation! Harvey Mysel, the founder of The Living Kidney Donor Network and a two-time kidney donation recipient, will be speaking at the Glencoe Public Library on Tuesday, November 12th at 7:30pm. This is a wonderful opportunity to not only meet an individual who has experienced the miracle of being a living donor recipient, but also get your questions answered about the process and the impacts on the donor and recipient.